There is no human being for miles around. In despair, she is eating pieces of decaying papaya fruit that lie on the ground. She has literally nothing else. This is how Papaya got her name. What would you do if you came across this heart-breaking situation? 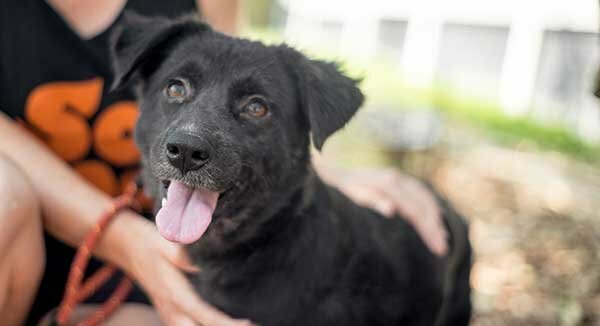 Well when Khun Thep, a 70-year-old Animal Rescue Officer found himself in that exact situation he didn’t hesitate for a moment and quickly climbed that steep hill to rescue Papaya. 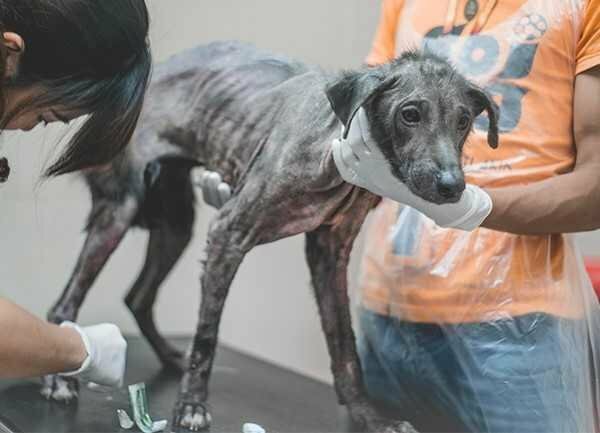 This is just one example of the regular rescue work carried out by volunteers and staff at Soi Dog who have dedicated their time and energy to rescuing and caring for helpless animals that are suffering from terrible diseases and neglect. 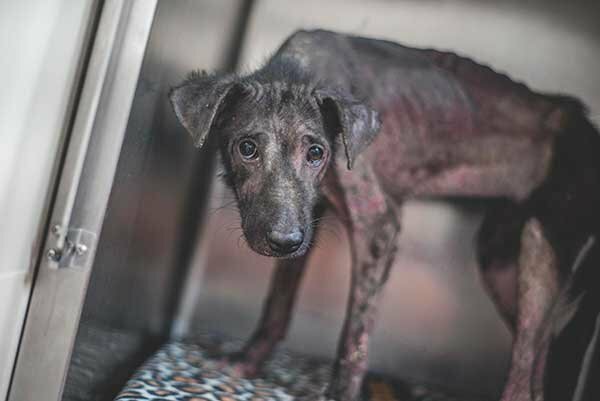 To say Papaya was all skin and bones on arrival at the Soi Dog shelter would be an understatement. Her desperate condition would have broken anyone’s heart who witnesses it first hand. Papaya trembled incessantly, both from fear and cold – a few sparse tufts were all that remained of her fur. 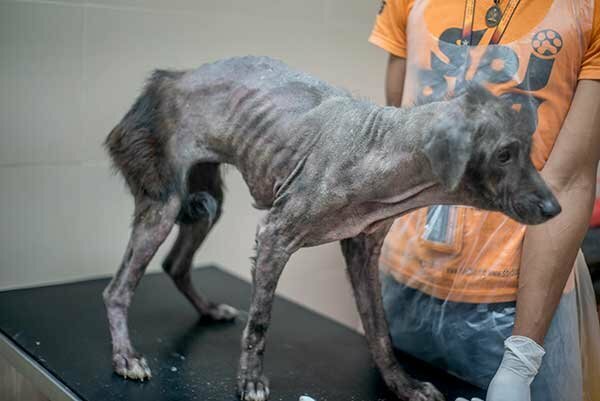 This is why donations to Soi Dog are desperately needed. It is one thing to climb a hill to pick up a suffering animal, but what happens then? 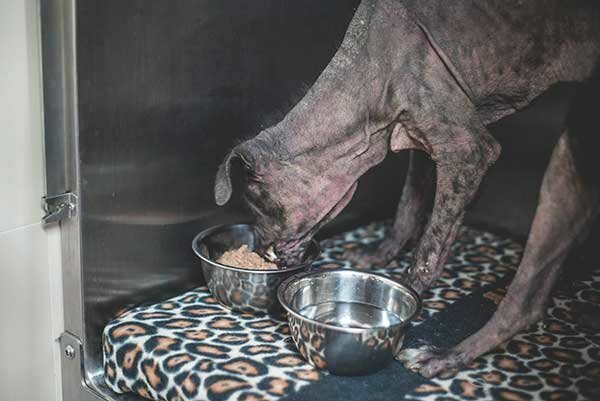 Without donations from compassionate supporters, dogs like Papaya simply won’t survive. There is no government funding for their shelter and extensive medical treatment; there is no other source of help except donations from the public. It took months of medical treatment, nutritious food and healing baths before Papaya began to turn the corner towards recovery. In the early days, she was so weak her carers weren’t even sure she would make it. But when compassionate animal lovers respond to a suffering animal’s plea for help and donate, they can make the seemingly impossible happen. Today, Papaya is so very different to the sad, scared, emaciated dog at the top of that hill. She is transformed in body and spirit – this is all thanks to our generous donors. 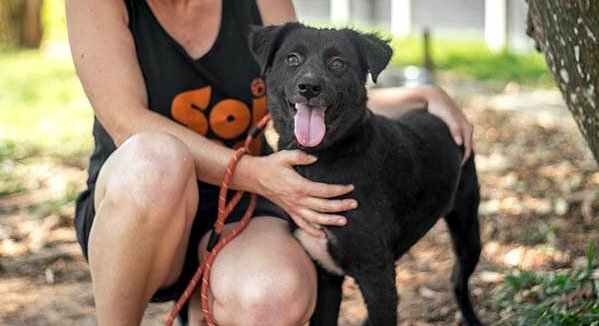 Sadly, in this past week alone, many other sick, injured or abused animals like Papaya arrive at the Soi Dog shelter gates and have nowhere else to go. Just a few dollars a week has the power to heal suffering, remove fear, and restore happiness, where right now there is only pain, terror, and desperation. It is up to every one of us to help these poor animals who have no other hope for survival.